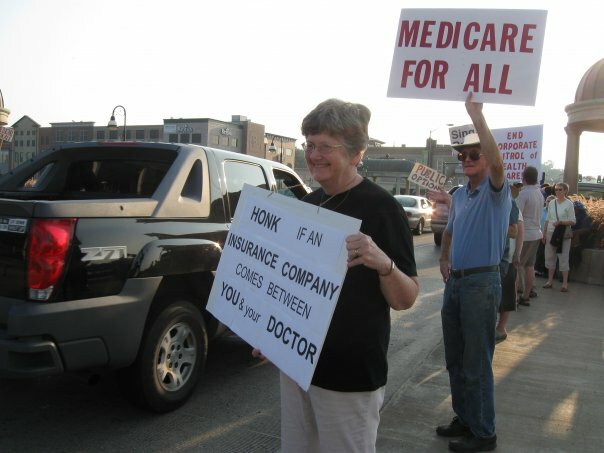 Honk for Single Payer Healthcare! 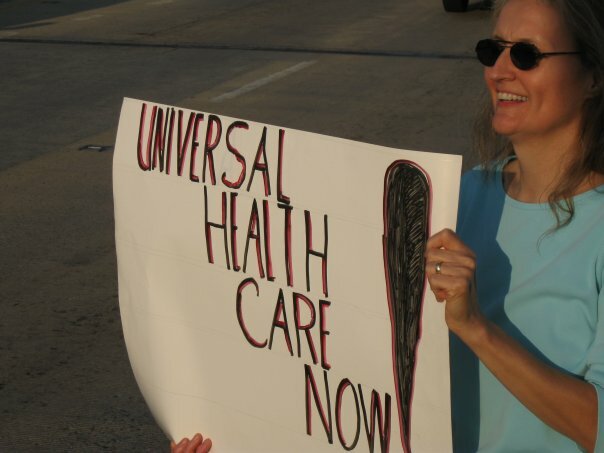 On the eve of Barack Obama’s healthcare speech on 9/9/09, residents from Illinois’ 14th District took to the streets to encourage the President of the United States to push for comprehensive healthcare reform, Medicare for all. 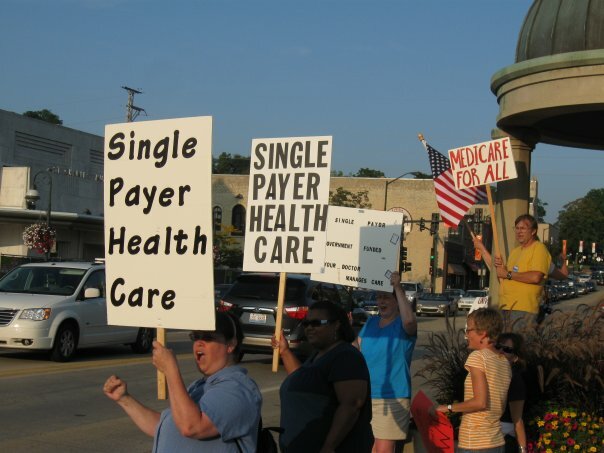 Thanks to Fox Valley Citizens for Peace and Justice and the Aurora Peace and Justice group, about 50 people showed up from all walks of life to show their support for the expansion of Medicare to all Americans. More people congregated as people got off of work and those that could not stop and join us used their horns to show their support. The Beacon News covered the event here and an in-district blogger, Bill Baar, covered it here. More photos are available here. 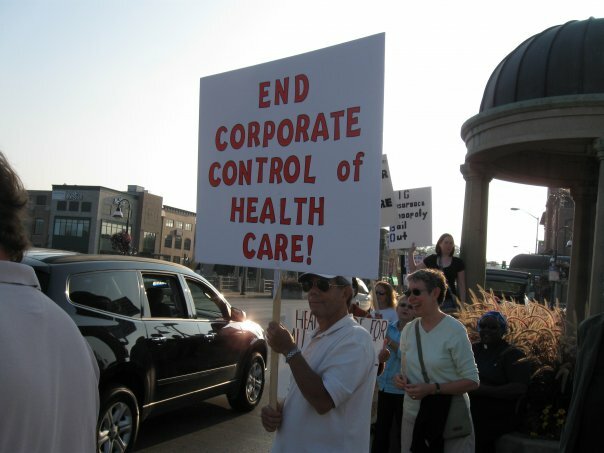 This entry was posted on Thursday, September 10th, 2009 at 10:01 pm	and is filed under The Front Page. You can follow any responses to this entry through the RSS 2.0 feed. You can skip to the end and leave a response. Pinging is currently not allowed.